Cedarbrook Lodge is an award winning distinctive, 167-room boutique style hotel. Located minutes from the Seattle Airport, the lodge affords a quiet, secluded environment ideal for a wide variety of business and upscale social gatherings. Outdoor terraces provide seasonal event space overlooking 18 lush acres of natural restored wetlands, an optimal location with the ambiance of a discreet hideaway. For a unique Northwest backdrop near Seattle choose Cedarbrook to host seasonal weddings and events. We also offer a private luncheon setting for 25 and more, Monday- Friday, for monthly meetings, funerals, and social gatherings. Groups will find comfortable accommodations, unexpected amenities, contemporary event spaces, original works of art and seasoned service teams that reflect Cedarbrook’s quintessential Northwest style. Description Cedarbrook Lodge is an award winning distinctive, 104-room boutique style hotel. 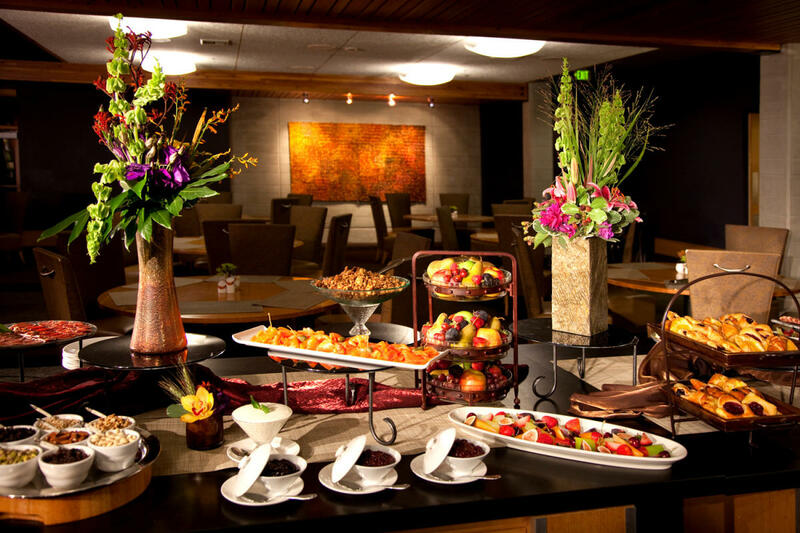 Located minutes from the Seattle Airport, the lodge affords a quiet, secluded environment ideal for a wide variety of business and upscale social gatherings. Outdoor terraces provide seasonal event space overlooking eighteen lush acres of natural restored wetlands, an optimal location with the ambiance of a discreet hideaway. For a unique Northwest backdrop near Seattle choose Cedarbrook to host seasonal weddings and events. Groups will find comfortable accommodations, unexpected amenities, contemporary event spaces, original works of art and seasoned service teams that reflect Cedarbrook’s quintessential Northwest style.